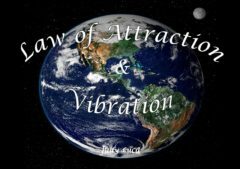 Welcome to the Law of Attraction & Vibration! 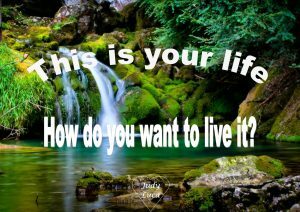 Are you ready to shift your vibration and create the life of your dreams? This precious gift we call life is such a blessing. It can sometimes be confusing but understanding the way the Universe works will help you bring everything in your life into alignment. To understand the Law of Attraction you must also understand The Law of Vibration. 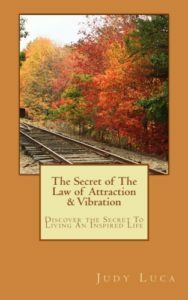 Check out my new eBook The Secret of the Law of Attraction & Vibration on Lulu Bookstore for only $1.99 and discover the secret to living an inspired life. I’m delighted to provide my books through my website here, they are also available through Amazon and at some local bookstores. My first eBook “The Secret of The Law of Attraction & Vibration” is available at LuLu Bookstore. It is also available on Apple IBookstore, Barnes & Noble Nook, Amazon Kindle, and Kobo and Everything Else. I have 7 more children’s books and 1 more adult book coming out later. My children’s books are inspired by my children, grandchildren and friend’s children. They are inspirational and multi cultural. I hope you cuddle up with the little ones in your life, enjoy them and share them with your loved ones. They make great gifts too! May they all touch you and your loved ones. Enjoy and thank you for your support! 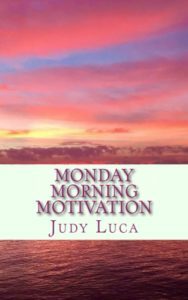 Start your week off right with inspirational messages from Monday Morning Motivation. Discover the secret to making the Law of Attraction & Vibration work for you to live an inspired life. Today is Earth Day! A day dedicated to nurturing the planet that sustains us. 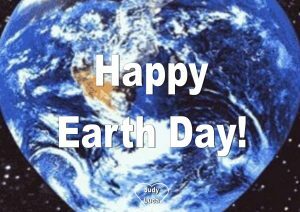 Celebrate Mother Earth by doing something to make this glorious planet a better place today! May the love and the lessons Jesus taught be with you today and always! 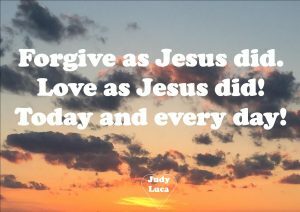 Jesus taught forgiveness no matter what, he taught us to love everyone without conditions. He taught us that we are all connected to God and to one another. Lessons that are just as important today as they were 2000 years ago. Practice forgiveness, love and seeing yourself in everyone you meet today and every day. 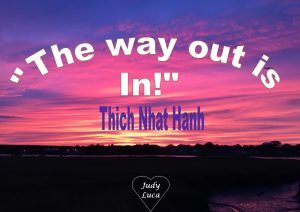 If you want a way out of fear, out of confusion, or out of pain go within. Go within and let the Light that is within you, the Light that is always and forever connected to the Divine guide you. Let it guide you into love, clarity, joy, and peace. 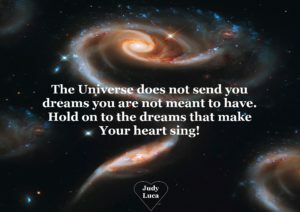 Follow the dreams that make your heart sing! 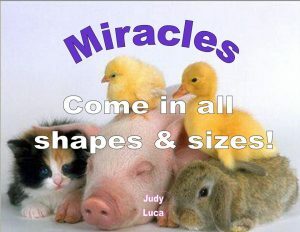 Be open to the miracles in your life no matter what size they are. Focus on the things you want more of in your life and more will come to you! 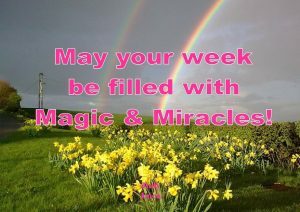 The Universe supports you, it holds magic and miracles to help you reach your full potential. The Universe provides opportunities, it opens doors, and brings synchronicity. None of this will come to you if you are not listening to the whispers of your soul. Make sure you spend time in the silence by meditating or praying. Make sure you feed your mind positive, life affirming thoughts. 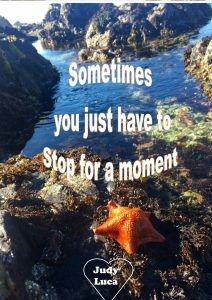 Make sure you do whatever it takes to stop the monkey mind that can sometimes block the flow of Light, Love and Truth. 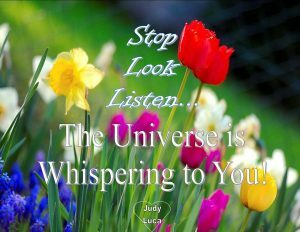 The Universe is always moving into a fuller expression of Life and it will help you move into a fuller expression of who you are meant to be if you stop, look and listen to it’s whispers! These are some of my favorite quotes, quotes that have inspired me to move forward in m life, quotes that have lifted me up when I’ve been down, quotes that remind me of the wonder, beauty and magic of life. 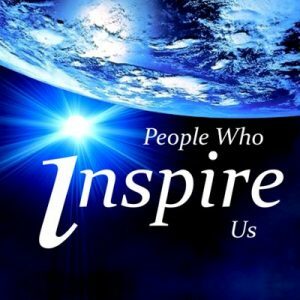 Hope they inspire you and help you move into more. The Universe is like a genie. It says “Your wish is my command”. You don’t have to worry about how, that is the Universe’s job. Your job is to become crystal clear on what you want and trust that the Universe will provide you with everything you need at exactly the right moment. If you are not clear the Universe will send you experiences that you may not want to help you gain clarity. Pay attention, learn from everything and get clear on what your soul is trying to express. There are 3 steps to using the LAW. 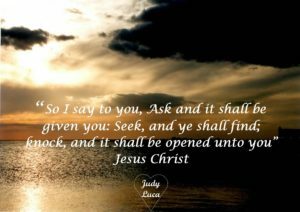 The first is to ask. Ask the Universe to provide you with whatever your soul desires. Ask with your words and your emotions. Ask with expectancy, knowing the Universe will provide you with the perfect opportunities to manifest your desires. The second step is to answer. The Universe does this. You don’t need to know how the Universe knows how. The Universe is the soil which produces whatever seeds you plant. The seeds you plant are your thoughts, words, beliefs and emotions. The Universe provides the magic. You just have to pay attention to the opportunities it presents to you. Third step is to receive. Align your energy with what you are asking for. Feel as if it is already done. 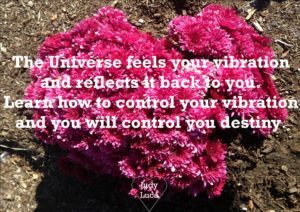 The Universe responds to what you are feeling, it responds to the level at which you are vibrating. Everything is energy and has a certain vibration or frequency. This includes your emotions and feelings. You must know with every fiber of your being that what you desire is yours. See it in the invisible and it will manifest in the visible. The Nature of Reality, God, Oneness or whatever name you prefer is threefold. We can call it Spirit, Soul, Body; or Conscious Intelligence, Subjective Law and Form; or Source, Creative Medium and Manifestation; or Father, Son and Holy Spirit. The names don’t matter; it’s the understanding that matters. Everything moves from Creative Consciousness through the Subjective Law or Creative medium and becomes manifest in form. We live in a Universe governed by love and powered by Law. A good analogy is to think of the soil in which seeds are planted and plant life springs from. We don’t know exactly why or how the magic of an acorn being planted into the soil occurs but we know if we plant an acorn in soil eventually a mighty oak will appear. We know if we plant pumpkin seeds into the soil we will get pumpkins. We also know that we will never get watermelons from pumpkin seeds. The Creative Medium or Subjective Law does not care what is planted into it just as the soil does not care if you plant acorns or pumpkin seeds. The Subjective Law or Creative Medium can only create. It is the very nature of it, it has no other choice but to create whatever is planted into it. It is the great Mental Law of the Universe. Like any other law such as gravity or electricity the Creative Medium or Subjective Law works the same way for everyone all the time. It is a Principle always present, always creating. It is a basic law that works without exception. It is impersonal and infallible. It is subjective, it cannot analyze or deny, it can only accept. Some call it the Law of Vibration or others call it the Law of Cause and Effect or Karmic Law. This Law brings everything into creation. It is the Creative Medium through which all things become manifest. It’s only function is to create. It is an invisible Principle with visible results. I was watching “The Santa Clause” staring Tim Allen the other day and one of Santa’s elves said to Santa (Tim Allen) “Seeing isn’t believing, believing is seeing” and I thought what a great way to look at things. 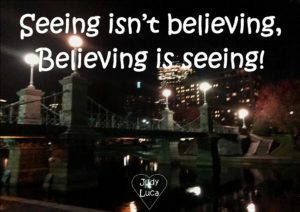 Many people think “seeing is believing” but actually “believing is seeing”. We must believe what we want to experience is ours to see it appear in our lives. We must have the faith of a mustard seed, we must know without a shadow of a doubt, we must believe with every fiber of our being, and then we will see it. When we believe we can have, do or be whatever we want then it will come to be. As the month of April ends and May begins open up to the changes of the seasons, the changes of the temperature, the changes of the scenery & the changes in you. Let the changes your heart wants to express come to fruition. Let the changes your soul wants to share with the world blossom & grow. 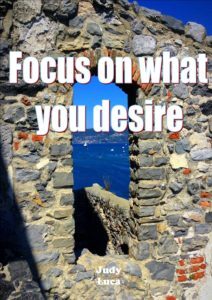 Whatever you focus on you get more of so focus on the things you want more of in your life! This baby squirrel followed my husband and I down a city street today as we tried to get him to a tree. The squirrel ran around my husband’s leg, stopped repeatedly at his feet and followed us til he was safely at the tree. It was so unexpected and so cute. 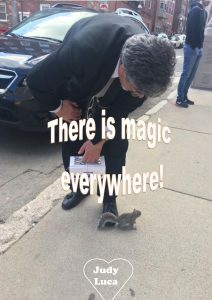 A little magic in the middle of an ordinary day. Be open to the surprises the Universe has in store for you today. 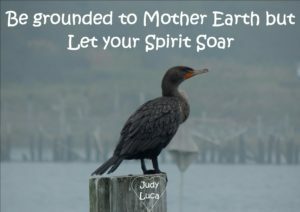 Keep your feet firmly planted on the ground but let your mind and your spirit soar! Spring…a time for growth, a time of rebirth, a time for action. Take action today and give birth to even more of the greatness that is you. Your thoughts are seeds planted into the Universal Mind. The Law of the Universe must obey for it is the Creative Soil through which all things come into manifestation. You are like a farmer planting seeds, if you plant pumpkin seeds you will grow pumpkins, you will never grow watermelons from pumpkin seeds. The same is true for you; you will not experience love and abundance if your consistent thoughts are of fear, lack or limitation. Your thoughts are seeds and they dictate your beliefs, actions and your vibration. The Universal Mind is the soil. Your life is the manifestation of your thoughts, beliefs, and actions, which all determine your vibration. 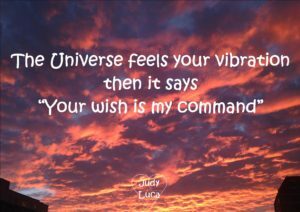 When your vibration is in harmony with the Abundant Universe doors will open, opportunities will arrive, synchronicity will appear, magic will happen, and you will be guided to move in the direction that serves your highest good. Whatever seeds you plant into the cosmic consciousness will become manifest. We do not question how the plant springs from the soil we only know that if we plant pumpkin seeds, pumpkins will grow. 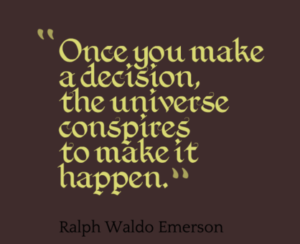 We don’t always know how our desires and dreams will come to be that is the job of the Universe. 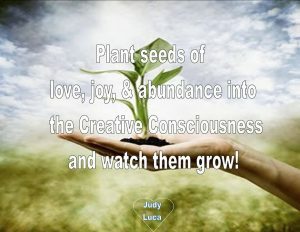 Our job is to plant the seeds, water them, nurture them, follow the guidance from the Universe, make sure we don’t step on them as they begin to grow and watch our lives grow into the beautiful manifestations they are meant to be. It’s finally spring here! The days are getting longer, the sun is becoming warmer, the flowers are starting to poke their heads through the soil, the trees are beginning to blossom. The birds are happily singing and the frogs are noisily croaking in the pond. Life is bursting forth all around me! Each day is as if the Earth is giving birth to new growth, new life. It’s a time for new beginnings, a time to come into the full expression of Life that is you. 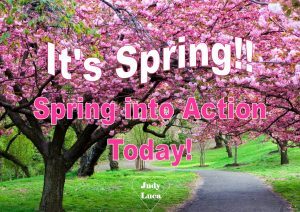 Use the energy of spring, the energy of Mother Earth to take action and move into more of who you are meant to be. What are the thoughts that come into your mind consistently? Are they creative thoughts, thoughts of love, peace, joy and abundance or are they thoughts of limitation, lack and fear? Everything is energy and energy vibrates at a certain level. Your thoughts are energy. Your consistent thoughts make up your beliefs, your beliefs will determine your actions which will dictate where your energy is vibrating. 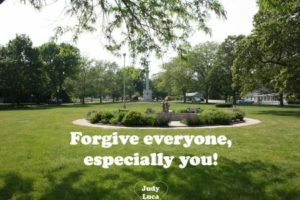 Forgiveness can sometimes be a difficult thing but not forgiving can be even more difficult in the long run. Not forgiving creates negative energy in our being which has an impact on one’s life. Society may tell us in many different ways not to forgive. Society tells us to punish the perpetrator, to hold on to the anger we feel and to seek revenge and get back at the person who we feel has wronged us. These societal beliefs are wrong. Some people think of forgiveness as a sign of weakness but the truth is not forgiving weakens us, forgiving strengthens us.